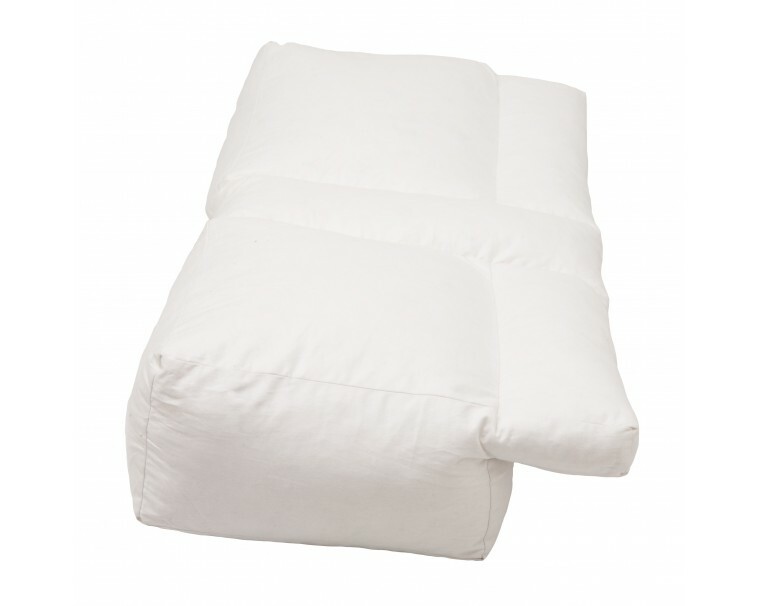 Side Sleeper pillow for side sleepers with arm rest under pillow. 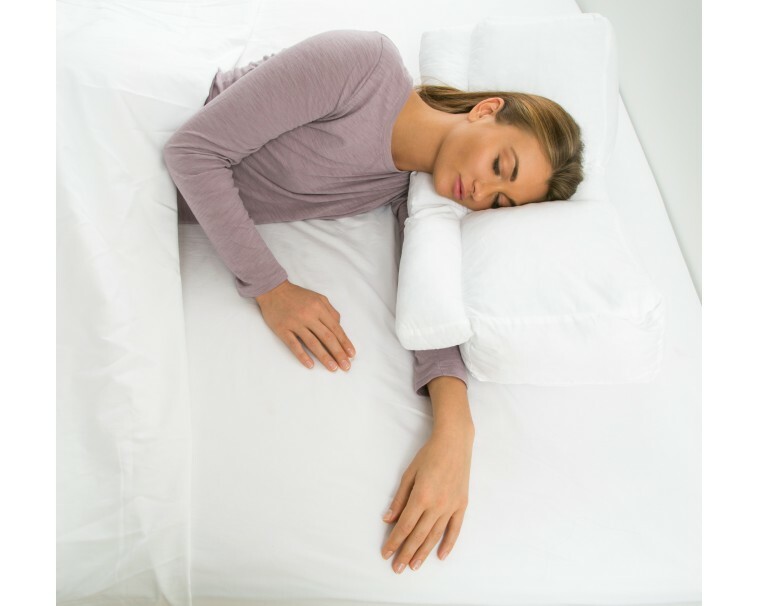 We believe in better tomorrows. 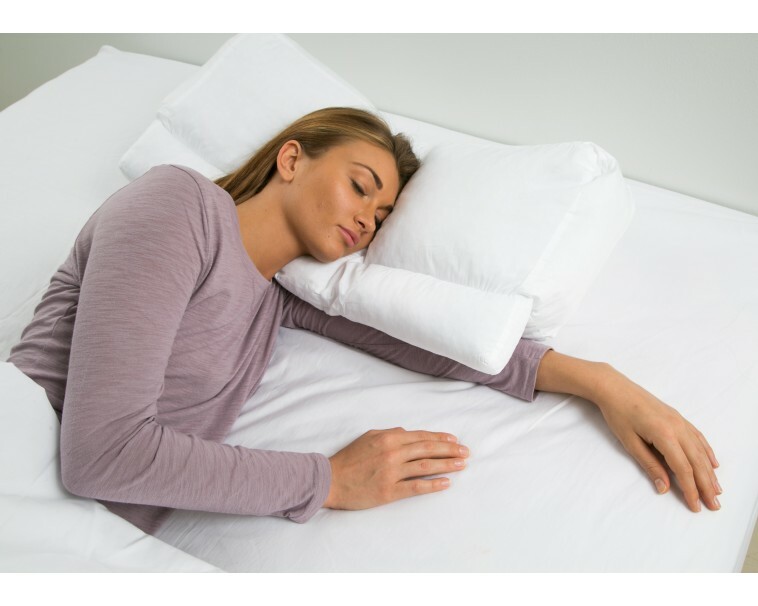 We frequently hear the stories of people with sleep disorders and other sleep problems finally waking up feeling completely rested and ready to take on the day when they switch to the better sleep pillow (BSP). 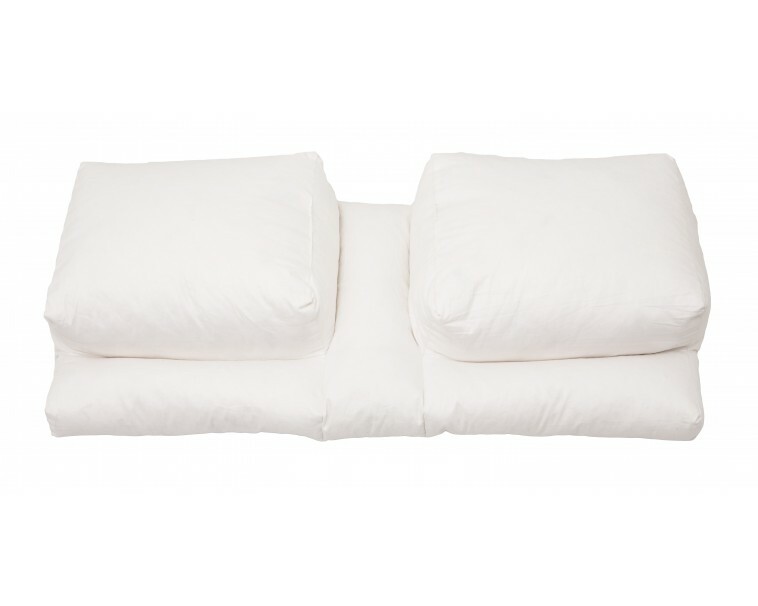 "Try At Home Free"; program - You get to Test Ride these pillows in your home for 14 Days - 100% Risk Free. 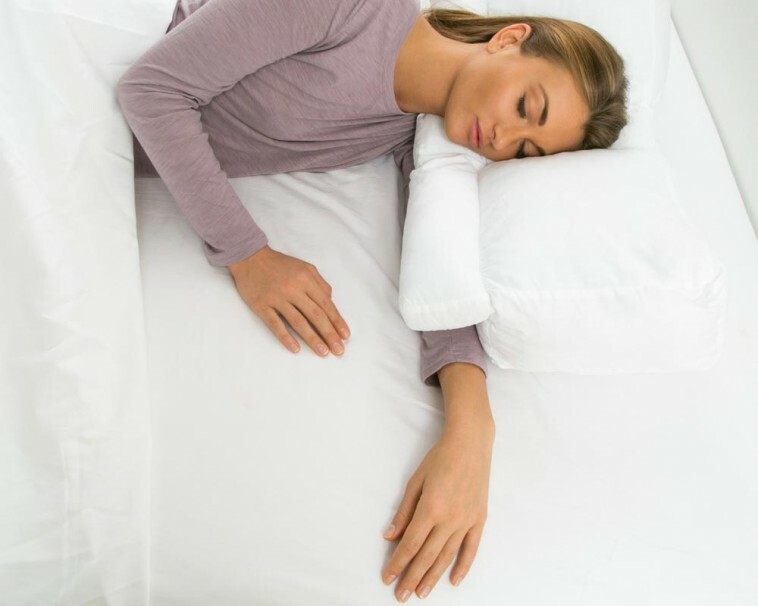 Shipping is on us both ways! 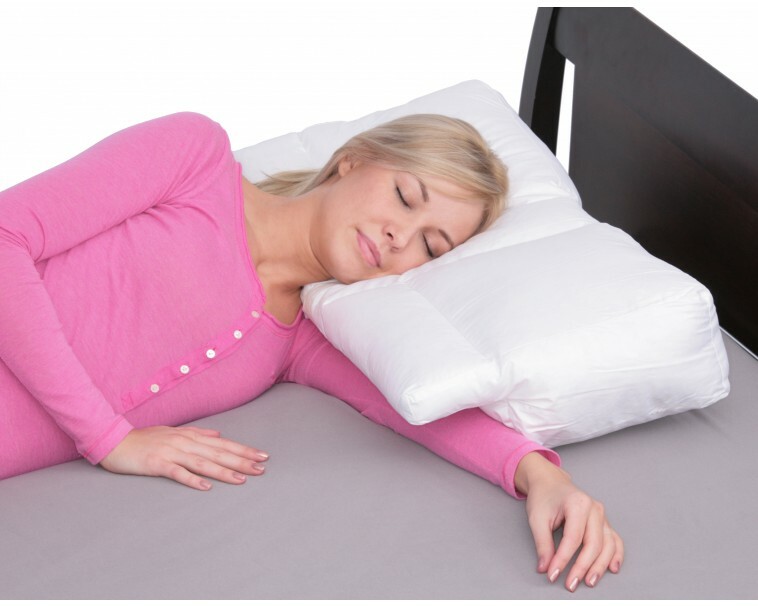 "Try At Home Free" is our new product line launch program to get the word out and bring in review. Act Today this maybe gone Tomorrow. 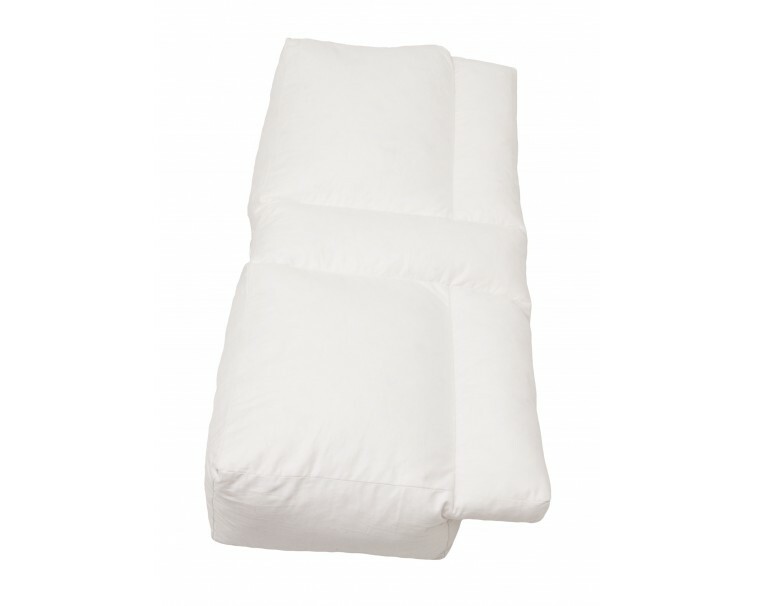 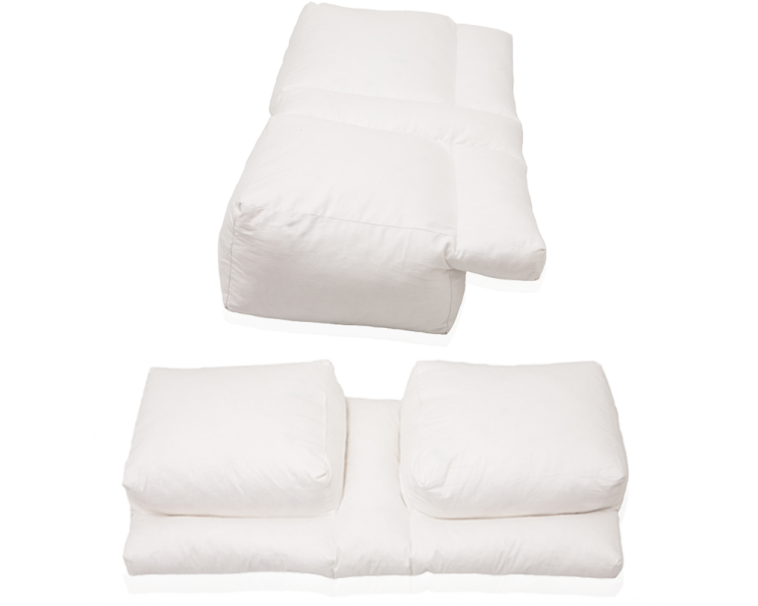 This BSP version is constructed of high quality, hypoallergenic cozy White Goose Down Feathers . 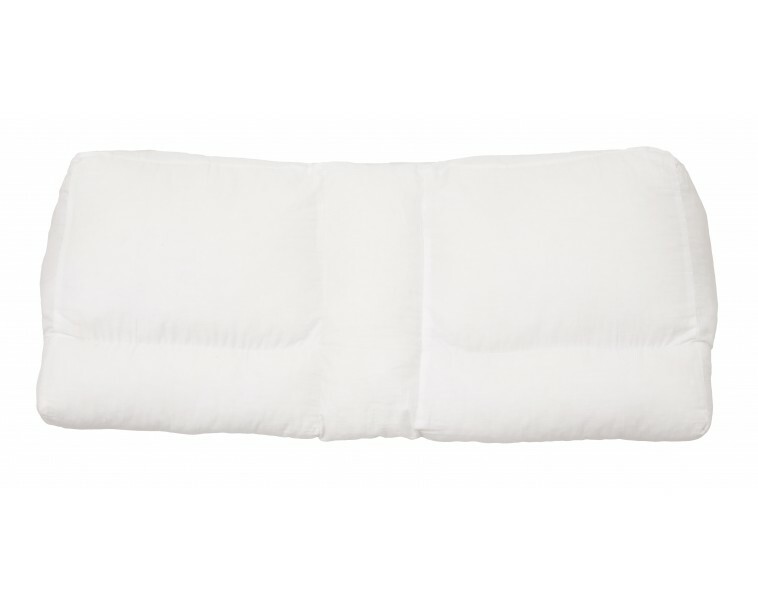 This pillow is great for me, I don’t even consider using any others anymore. 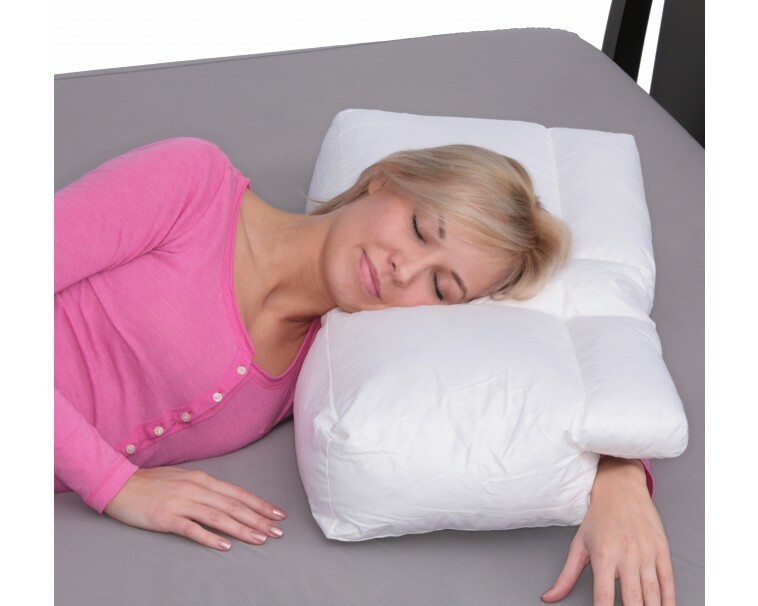 You can turn it to any angle and is great for sleeping on the side or back. 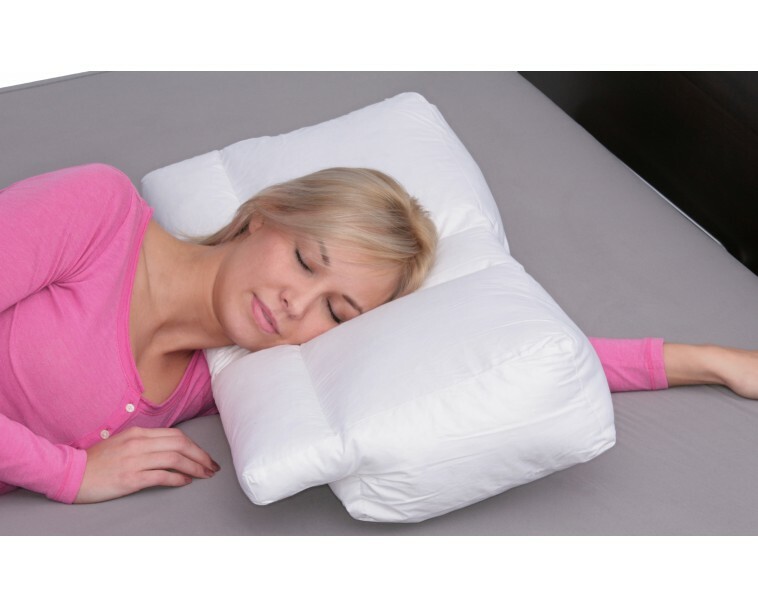 It’s also great for neck support and sleeping on my back. 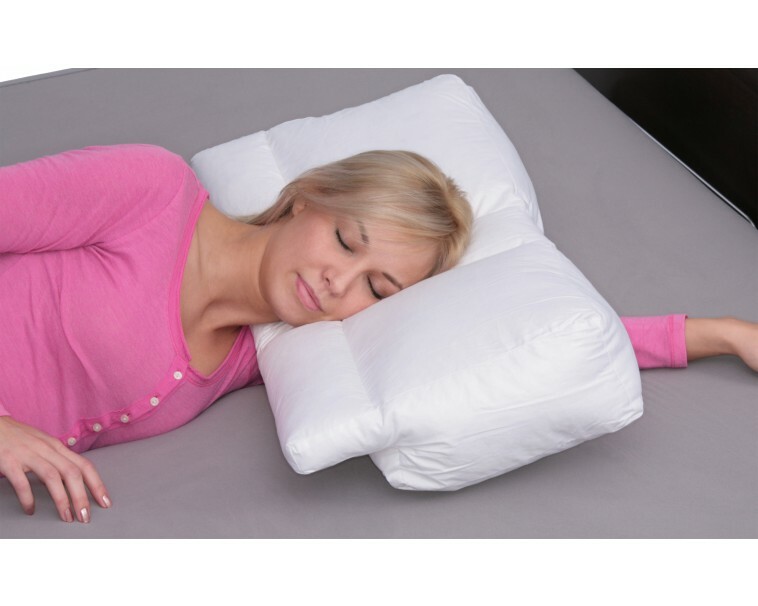 Great pillow, just right for me.